Flood Brothers Plumbing is fully equipped to handle any plumbing issue. From the smallest leaky faucet to a complete water system replacement, no job is too big or too small. All repipes and installations come with a free leak inspection. When it comes to your family, don't take chances and never cut corners. If you suspect you have a gas or water leak, we have the latest tools and equipment to quickly and accurately locate and fix it. 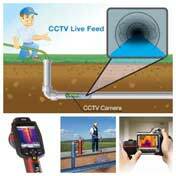 All leak detection costs are included in the price of repair. Gas lines can be very dangerous if installed or repaired incorrectly. Exercise total caution with your family's security. Call us for even the most seemingly innocuous concern. 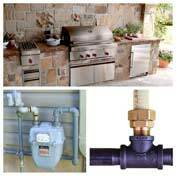 We are licensed and experienced professionals at gas line repair and installation. Our work is fully guaranteed. From traditional gas water heaters to new and advanced, electric and tankless water heater systems. Ask which one is right for you. We will analyze your setup and advise which type would serve you best and most cost effectively. Whether you choose the gold-standard of copper for your repipe, or the more affordable and contemporary, PEX (polyethylene), our inspections and estimate include at no charge a complete appraisal as to which is best for your home. 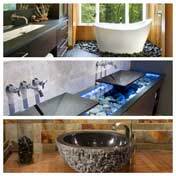 If you need your fixtures, baths or toilets repaired--or installed--please call us. We offer a wide variety of brands and styles and the expertise for a quick install or repair. From classic to vintage, modern to futuristic or high-end to economic, we got it covered.